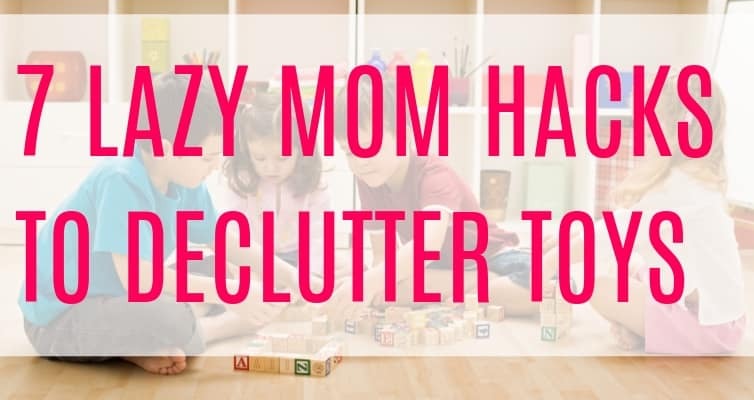 If you have kids, you have toy clutter. It’s just a fact of life. 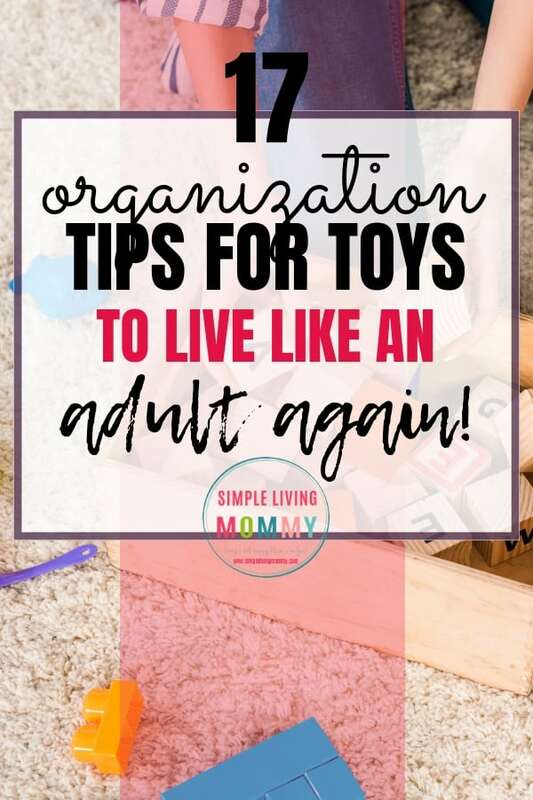 After you’ve purged all broken and abandoned toys, give these toy organization ideas a try to reclaim your home from all of that toy clutter! 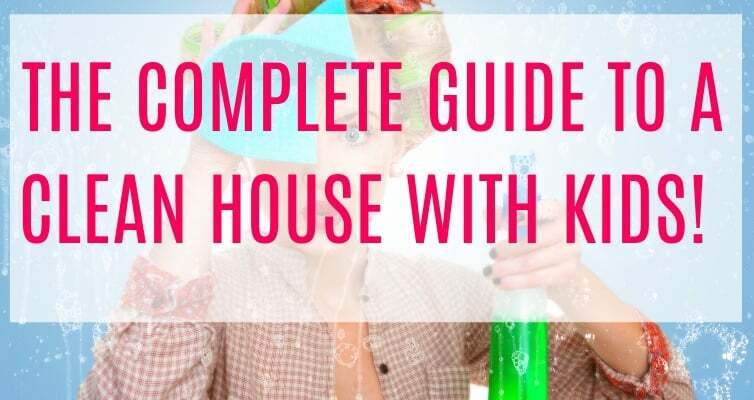 Organizing all of your kids’ toys doesn’t have to be expensive or take a long time at all. Especially if you have an Amazon Prime membership! Seriously, how did any parent survive before Amazon Prime? 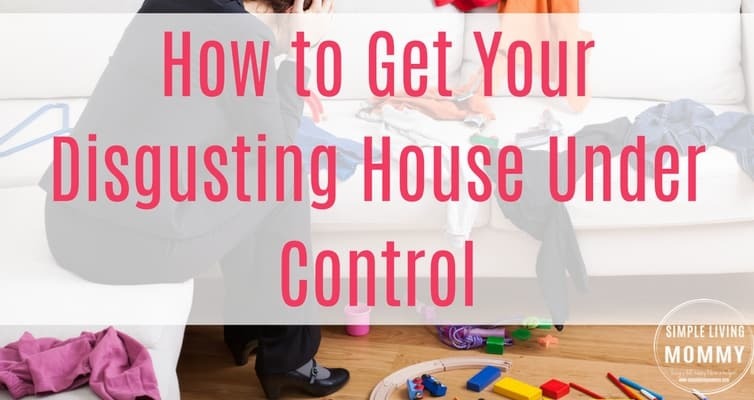 The secret to minimizing toy clutter without constantly cleaning up your house and hiding toys from your kids is to have a spot they can dump their toys when you ask them to clean up. If it’s easy, your kids are FAR more likely to do it. This tip has saved our living room and my sanity more times than I can count. I love that it isn’t bright and colorful, but blends in so it doesn’t add to the cluttered appearance of the room. If you’re looking to organize a toy room on a budget, these are the products you’ll need. Cheap Cube Organizers cover a multitude of sins and hold TONS of toys. I love that they’re low-profile and can be used in any room. Stuffed animal storage (covered in detail below) is simple nowadays with cute bean bag chairs and hammocks. Storage ottomans or cute storage baskets to use as a catchall in high traffic areas of the home that you don’t want to look like a playroom. If you haven’t heard of these amazing stuffed animal bean bag chairs, you need to check this out! You stuff your kids’ stuffed animals into this over-sized sack, and voila! They have a chair made out of stuffed animals that you no longer have to pick up or trip over. See below for a list of my favorites. Another great option are these hanging stuffed animal organizers. They have lots of different color options and tuck away neatly into your kids’ closet. Parenting hack: These can double as clothes storage too! Use a section for hats, socks, underwear, etc. Stuffed animal hammocks, like the kind we had as kids, are still extremely popular and perfect for kids who want access to all of their stuffed animals. I love this one because it’s so sturdy and can hold lots of toys. This monkey stuffed animal bag chair is perfect for even the youngest kids, especially if you plan to give this as a gift. 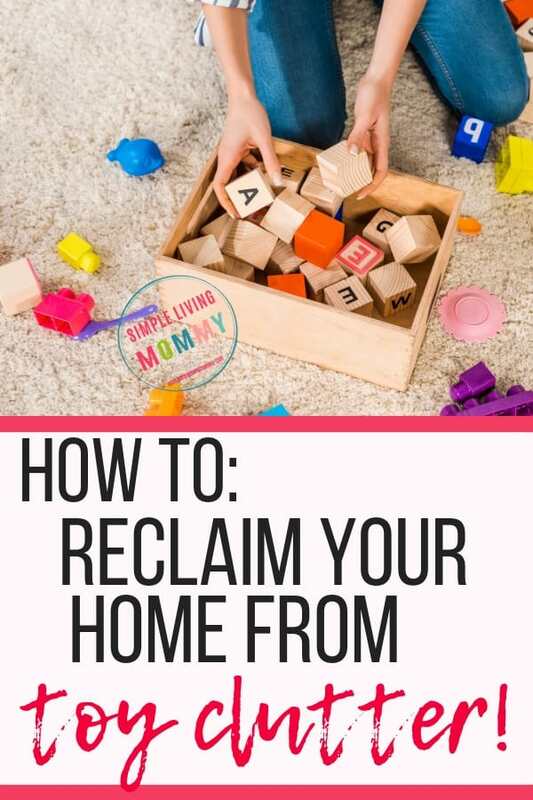 The secret to keeping your living room free of toy clutter is the godsend that is storage ottomans. Why you’d ever have an ottoman that doesn’t double as a messy toy hiding place, I have no idea. Another awesome option for toy storage are cube organizers, or at the very least, these cube organizer baskets. I personally love when cube organizers have high-quality cubes like these ones to give the illusion of a modern design when we all know you’re really just hiding miscellaneous puzzle pieces and naked barbie dolls. These are my favorite storage ottomans because they’re relatively sturdy, cheap, and give the illusion of an organized space. A quick word of warning: We have one just like this. When it’s empty, our kids are constantly hiding in it. We’ve had it for over a year and while it shows some wear, it’s stood up to two toddler boys and their adventures pretty well. Just remember to check here first if your kids ever go missing. I LOVE these smaller ones! We only have a small sectional in our living room, so seating is at a premium when we have guests over. With kids running around, no one sits for long periods anyway, but these awesome ottomans double as extra seating PLUS the added benefit of some extra storage. 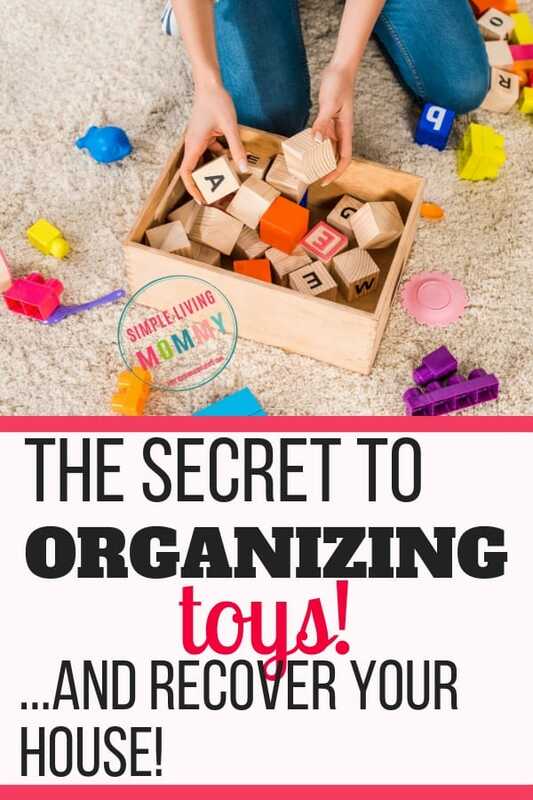 They’re also great for organizing toys because they’re not big enough to be a catch all. You can put puzzles in one and blocks in the other. We’re thinking of getting this one for the foot of the bed in our master bedroom. We co-sleep, so our bedroom is also our kids’ bedroom. With three little ones in there, toys inevitably find their way in. While it’s been a fun 4 years of tripping over toys on my pregnant, middle-of-the-night trips to the bathroom, I’m thinking this is the perfect solution to avoid that obstacle course. 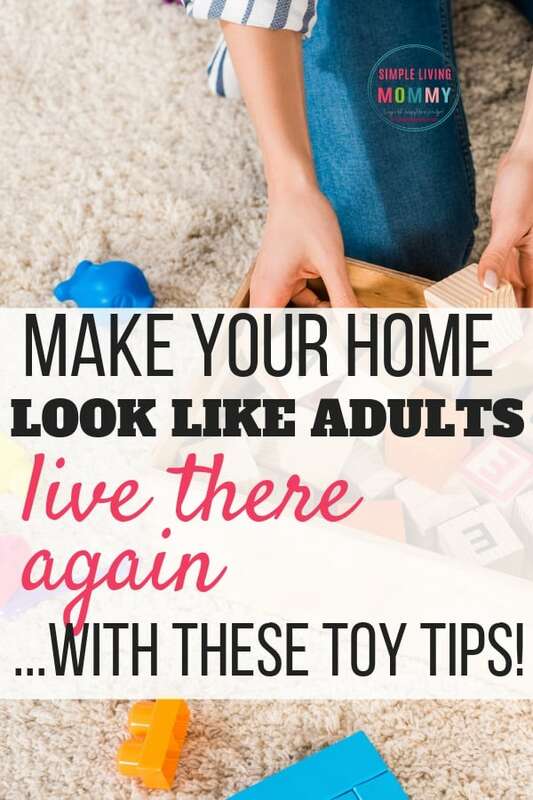 When it comes to toy storage for the living room, I think you can get a little crafty to still maintain an elegant look without pretending your kids don’t live there. One trick I love is to slide the couch out a few inches. Slide the biggest toys back there and no one will be the wiser. I’m a huge fan of cube organizers. I think they’re so easy to dress up with simple (non-breakable) decor in a few of the cubes while the rest have elegant cubes for toy storage, like these ones. Units like these ones offer the option to hide away toys and still look pretty enough for your living room. Luckily, these days there are cubes for these cube organizers to match any decor. If you’re just planning on using these in a playroom and are looking for more color, these are the options I love. If your kids are really young, don’t forget to check at Dollar Tree. Don’t spend a ton of money on something they’re going to just destroy. We used Dollar Tree cubes for a couple of years and they were great! They held up okay, and when they got too tattered, we just replaced them. Now we’ve moved on to sturdy storage cubes that have really lasted. 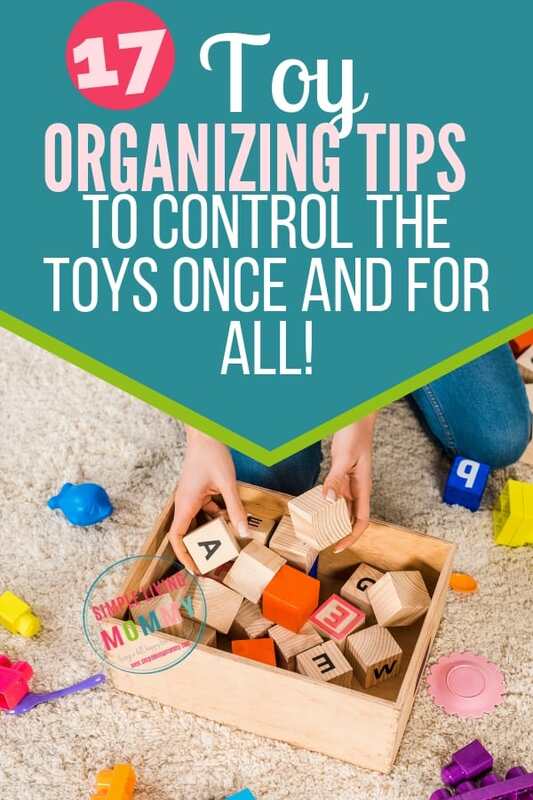 With these awesome options, you can organize even the messiest toy situation on a tiny budget. 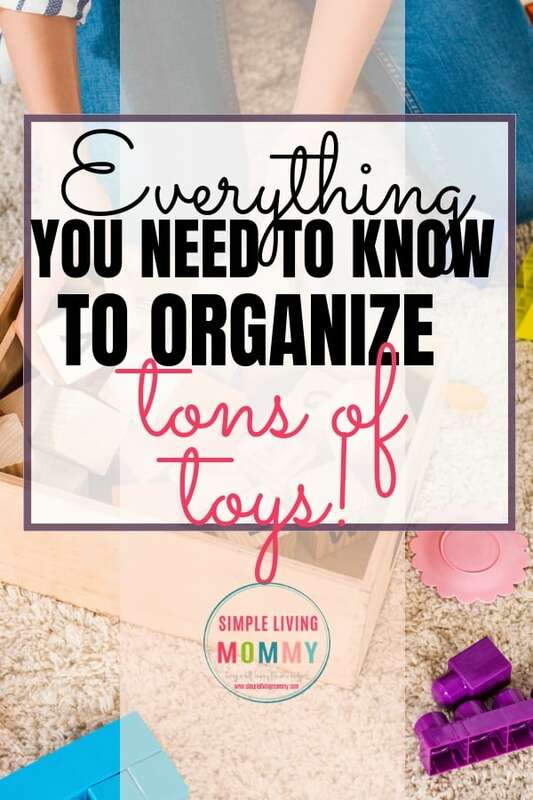 What is your biggest struggle with toy organization? Let me know in the comments!